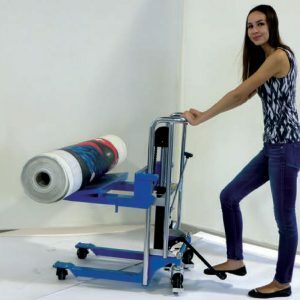 The Easy Transporter is ideal for lifting and transporting heavy media rolls to and from your printing equipment. 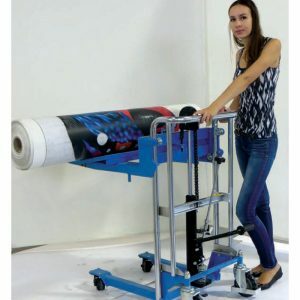 The Easy Transporter has a long flip ramp so that rolls are easily loaded on the lifter. The flip up on the ramp maintains transport security. 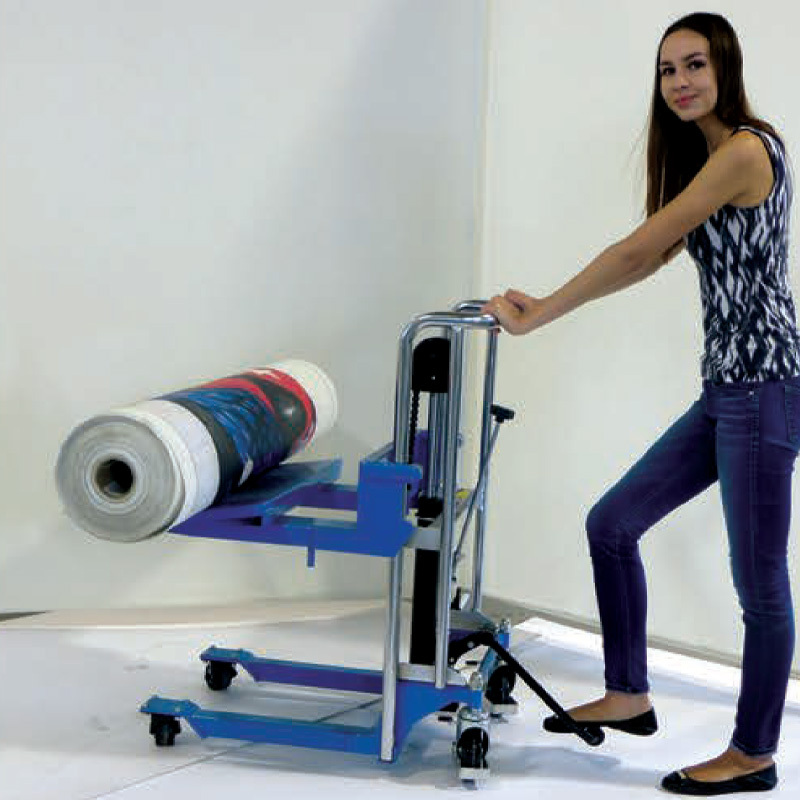 With our system, rolls weighing up to 880 lbs can be raised to a height of up to 36”. Low-noise winch with safety crank handle. 8” diameter rear wheels enable loads to be transported across uneven floors and steps. 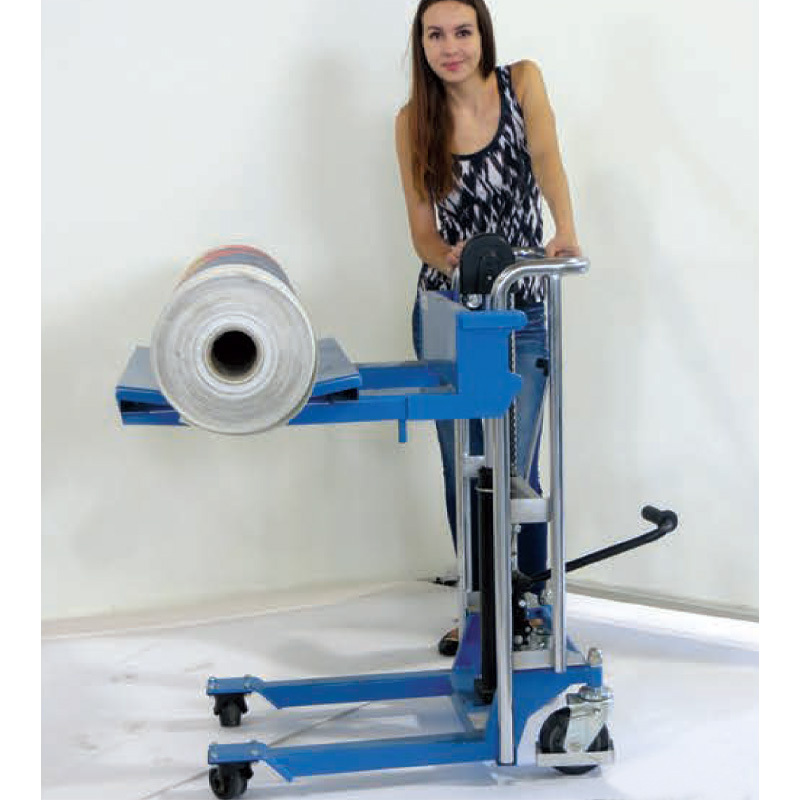 Retractable wheels allowing you to move the lifter in all directions as required, it also rotates 360° on the spot. 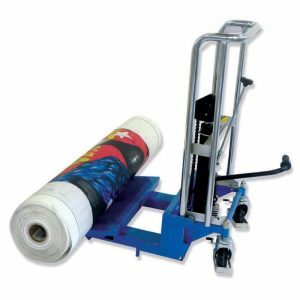 The Easy Transporter passes through doorways and opening from 30” and wider. Parking brake on both rear wheels. The Easy Transporter is made for easy use and durability. 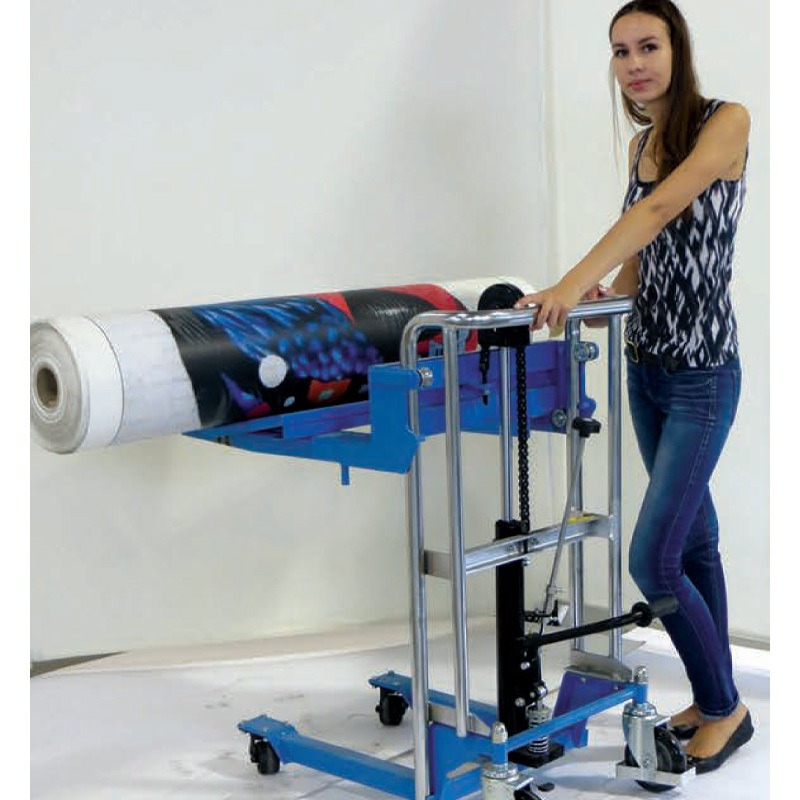 Tubular construction for maximum loading capacity at the reduced weight (>66 lbs.) 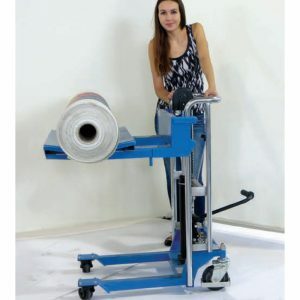 High-quality galvanized finish. Highest Point (From Roll Tray): 36in.